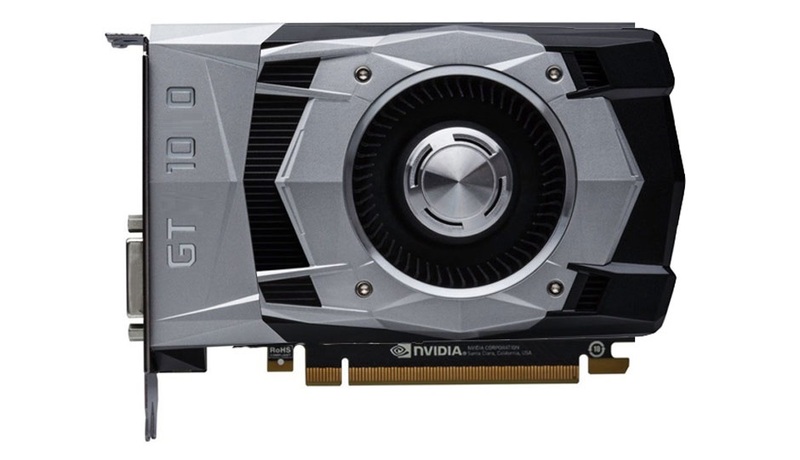 NVIDIA is allegedly preparing a new graphics card known as the GeForce GT 1030 to tackle AMD’s newly launched Radeon RX 550. The graphics card will be aiming at the sub-$100 US market and low-end PCs where users want something better than a discrete graphics solution without paying much. 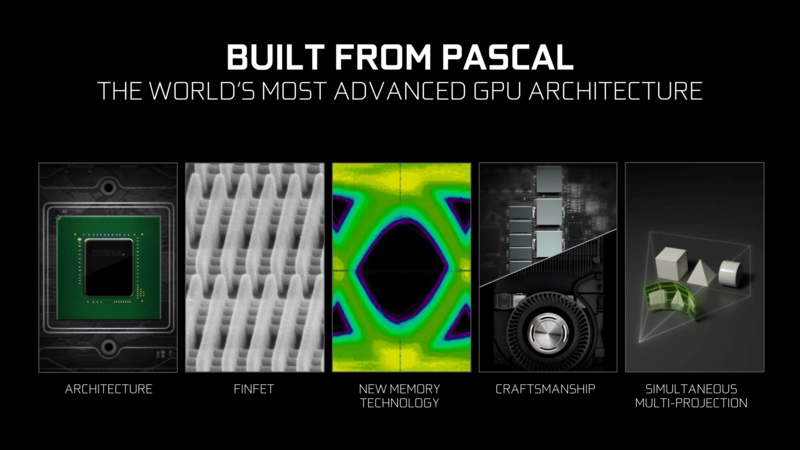 NVIDIA has recently updated their Pascal lineup and offers graphics cards that cover the entire market. The company has the $109 US GeForce GTX 1050 as their current entry level solution and the top end GeForce GTX 1080 Ti which reigns supreme as the fastest gaming graphics card. Not to mention the GP 102 based Titan Xp which costs $1200 US, but comes with the full configuration of the same chip that is featured on the GTX 1080 Ti. In the entry level section, AMD recently refreshed their Radeon RX 500 series cards with the Radeon RX 560. This card costs just $99 US and comes within the price range of the GeForce GTX 1050 which sells currently for $99 – $114 US. Both cards are doing well in the entry level market, offering similar graphics performance with their company exclusive features. 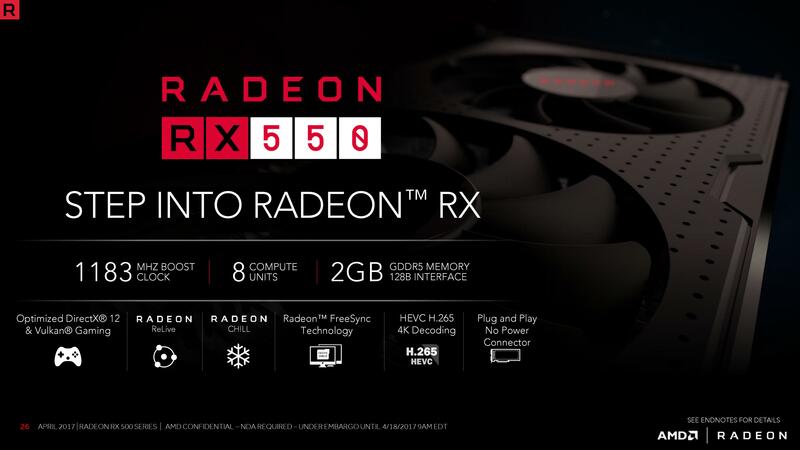 However, AMD has offered another entry level card in the Radeon RX 500 series lineup known as the Radeon RX 550. This card is the first to utilize the new Polaris 12 GPU and comes with 512 stream processors and up to 4 GB of GDDR5 memory. This card costs $79 US and while the most obvious choice is to get an RX 560 by paying just $20 more for twice the shaders, the card is going to serve a market. The market is users who don’t want to pay the extra for RX 560 cards and just want a proper discrete graphics solution over Intel based integrated graphics or the Ryzen platform which doesn’t come with an iGPU solution. The discrete solution also comes with better I/O connectivity so that’s a big advantage over an integrated solution. So what would be NVIDIA’s response to such a graphics card? Well they obviously don’t have anything below the GTX 1050 at the moment, but rumors are that a GeForce GT 1030 may be on its way. It’s not confirmed if the card will be called GT 1030 or GT 1040 but one thing is confirmed that it won’t feature the GeForce GTX tag. It’s a low-end solution and will act as a GT 930 / GT 730 successor. It will feature a price target of sub-$80 US and specifications wise, it will ship with the GP108 GPU. The GP108 GPU is supposedly going to feature 512 stream processors so we are looking at just 2 GPCs, each featuring 2 SM blocks (4 total). It will feature 32 TMUs and 16 ROPs. The card will feature a 64-bit wide bus interface and ship with either 2 or 4 GB of GDDR5 memory. The card will require no additional power connector and the TDP will be rated at 30W. For comparison, the Radeon RX 550 ships with a TDP of 50W. In terms of performance, the card has one less SM unit compared to the GTX 1050 so performance won’t take a big impact. On the other hand, the Radeon RX 550 is half of the Radeon RX 560 so performance will take a impact on that specific card. For most eSports titles, these cards will do the trick but don’t expect to run high-end AAA titles as these cards aren’t built for those. The performance numbers are reportedly on par or better than the GTX 750 Ti and will hit the market on 8th May 2017.